Leonard Green and CVC snagged the cash-and-carry chain with a low-ball bid in 2011. They have taken out hefty dividends and are hawking it for some $4.5 bln. Even if they can’t find an enthusiastic buyer, the returns may prove tantalizing enough for others to reconsider retail. Shoppers leave a BJ's store in Alexandria Virginia August 20, 2008. 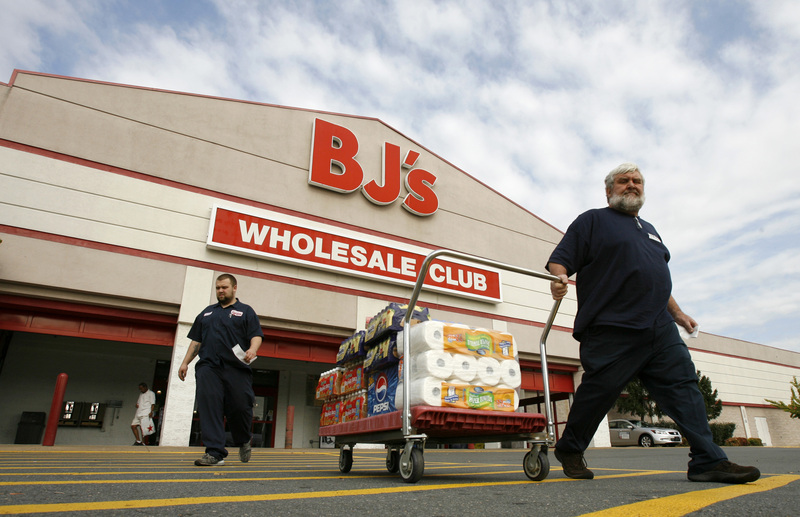 The private-equity owners of BJ’s Wholesale Club are looking to sell the company, according to a Sept. 26 report in the New York Post. The owners, private-equity firms Leonard Green & Partners and CVC Capital, are seeking to sell the company for as much as $4.5 billion, the story said. The private-equity firms bought the retailer in 2011 for $2.8 billion and contributed roughly $640 million of equity. In January this year the private-equity firms took a $700 million dividend, their third, which brought the total payouts to private-equity firms to $1.8 billion, according to Moody’s Investors Service.